Explore and build even more endless possibilities! 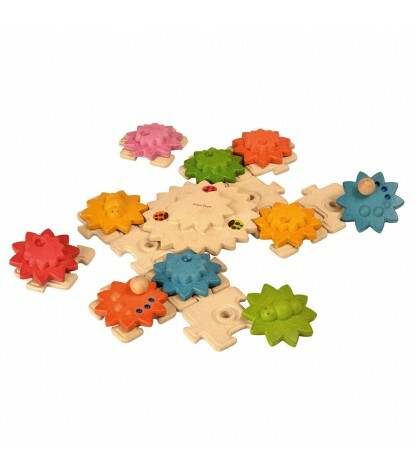 The Gears & Puzzle Deluxe from Plan Toyschildren can have two times the fun. 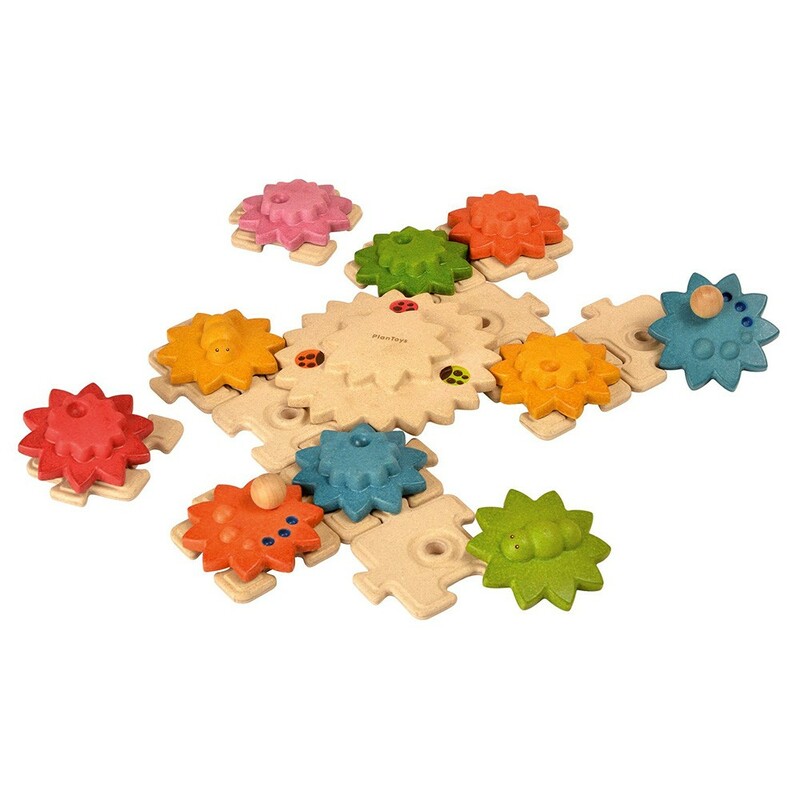 With 24 colorful interlocking pieces, children will have hours of fun creating new combinations and watching as they create puzzles of their very own. This set even provides a large main gear to connect all other gears together. Children will love watching the colorful gears spin. Only from Plan Toys. Made from Organic Rubber Wood and Non-toxic Dyes.